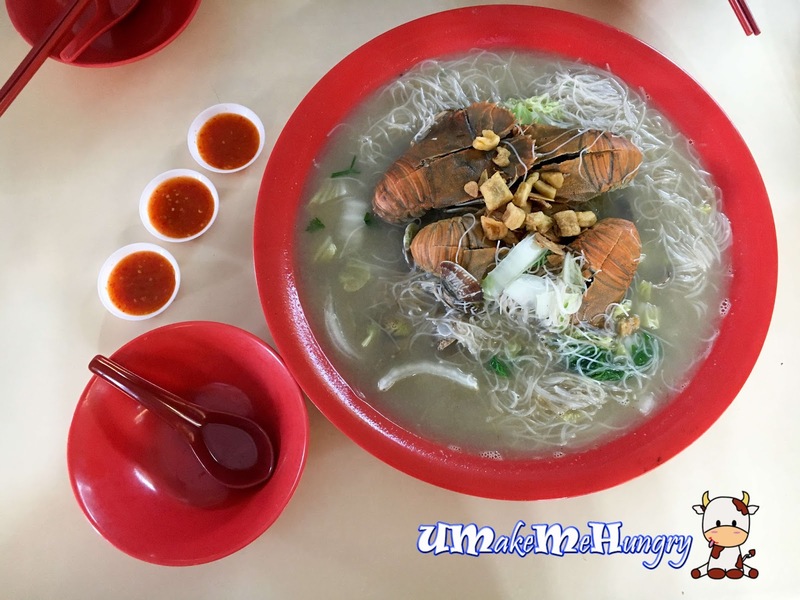 With so many big red plates around on the tables of Bukit Timah Food Centre, it's hard to gain the attention of onlookers who are still deciding what to have for meals. 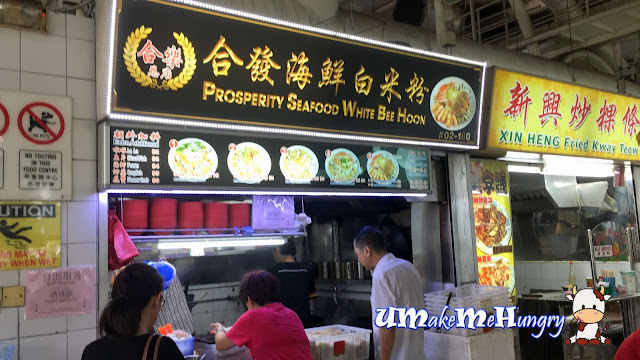 Also with White Bee Hoon still pretty in trend nowadays, you won't be surprise by the queue these stalls have lining in front of their stall. 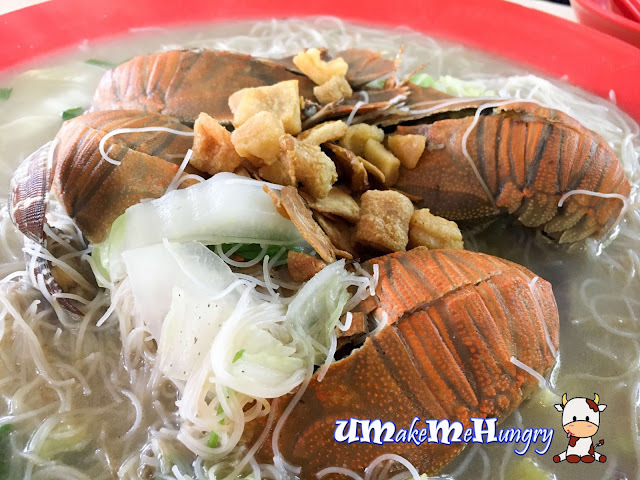 As I observed how the dish was prepared, I noticed that Bee Hoon were fried before hand and kept in a big basket. Then the kitchen helper will grab the portion required and placed the ingredients accordingly and pass to the cook. The Bee Hoon has Wok Hei taste but still lacking the punch in the seafood broth.No doubt that the fried lards had enhanced its fragrant, I still find that it has more room for improvement. Having ordered cray fish, it was not as fresh as expected too.